The luxurious villas are for exclusive use only. The lodge can be booked per room. After a very long flight from Australia it was the biggest relief to enter the doors of Kili Villa. What an amazing place!! We arrived quite late, but were treated to a bottle of red and any drink we wanted; along with some snacks.. the villa itself was stunning. 4 big bedrooms, our very own swimming pool and a terrific lounge room. Huge! Thank you so much for your hospitality and the delicious hot breakfast. Wish we stayed 2 nights!! Fantastic hospitality, - thank you! We have absolutely enjoyed the stay at Kili Villa Luxury since our arrival yesterday and an awesome environment with delicious meals. Accompaniments and Adhallah’s service was nice; hope to come back. This is the Fantastic place you can stay in Tanzania just a little south of Kilimanjaro, Mountain of the moon! It’s Golf course is undoubtedly one of the leading golf courses on the African continent. Thanks for your hospitality, your warm welcome. The food was nice. I will recommend your place to all my friends and colleagues in France. Special thanks to Francis for his special attention to us and my son, James. Thanks to you all and you Sally. Hope to see you soon. We have enjoyed our stay in this beautiful home so much. The home is so comfortable and well laid out for having several people. We all had our own space/area for privacy but could get together so comfortably on the terraces and the indoor living room. We had memorable meals and also sat around the campfire almost every night – it’s so peaceful here. The guys enjoyed the golf course on several occasions. Francis was a warm and attentive host! The two house girls kept our laundry going and cleaned our rooms very nicely. 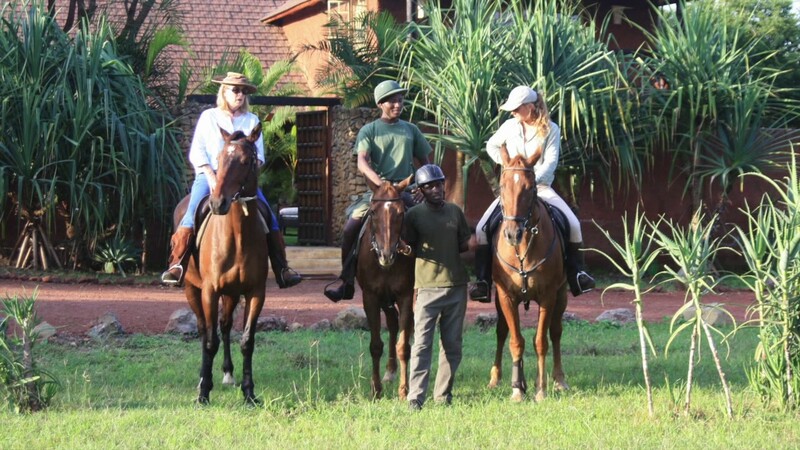 We all have been so pleased with our 11 day stay at Kili Villa and our amazing time in Tanzania! Thank you for having us in your beautiful estate! Francis was a wonderful host and the food was fantastic! The decor is incredible as well – couldn’t have asked for a more beautiful and comfortable place to spend the night. We are from Washington, DC, USA – I have been in Moshi for the past two weeks working in the Oblgyn Department and my father flew in last night so we could safari. Excited for our big adventure! Hopefully we’ll come back soon and take advantage of the golf! Definitely a very warm welcome! We had a fantastic outdoor dinner, great rooms and a lovely breakfast. Thank you for the great service! We had a great stay! Thank you very much for letting us stay in this incredible house! It has been amazing to be here! Adballah has been fantastic! We hope we one day will return. We had a pleasant 2 night stay at your villa. Service was unbelievably up to standards. Francis made the stay enjoyable as he was always available. Food, rooms fantastic. Keeup up the standards and we will definitely be back. Thank you for the experience. On the last day of the rain we drove in the dark through the bush not knowing where to arrive. With some help we arrived in Tembo Mtoni welcomed by Francis with his fresh juice and a warm smile. The house amazed us and it was breathtaking! Thanks for having us as your guest and we hope to return some of our clients as guests of your house. Copyright © kilivilla.com. All Rights Reserved.